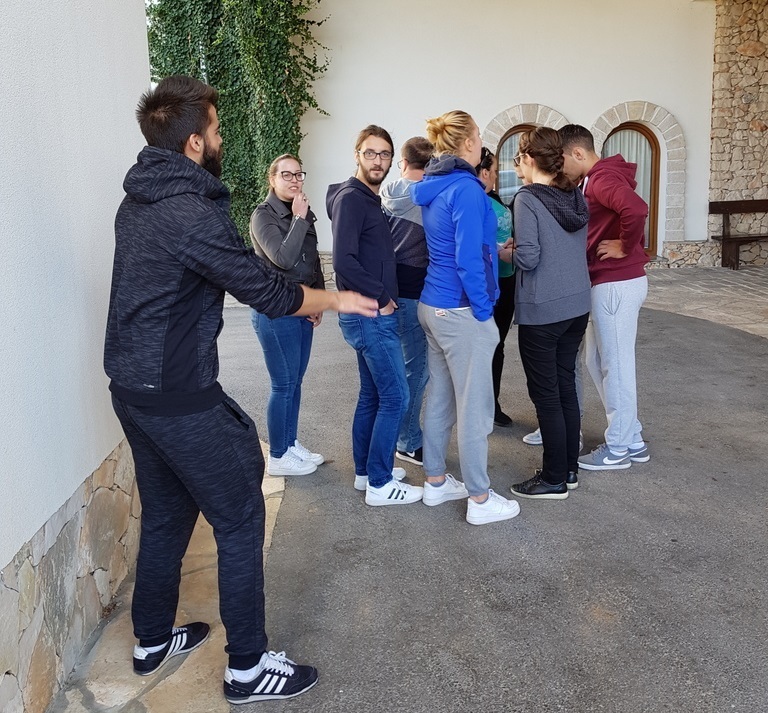 A TEAM BUILDING IN HERZEGOVINA TO REMEMBER! After weeks of planning and arranging little details, that day has come: Friday, October 6th, when we were about to take off and sail into the the weekend of the unknown! Of course, in reality, it wasn’t that dramatic and mysterious, because we did make the team building agenda known to everyone, but there were surprises and unexpected events, which made this journey even more interesting. 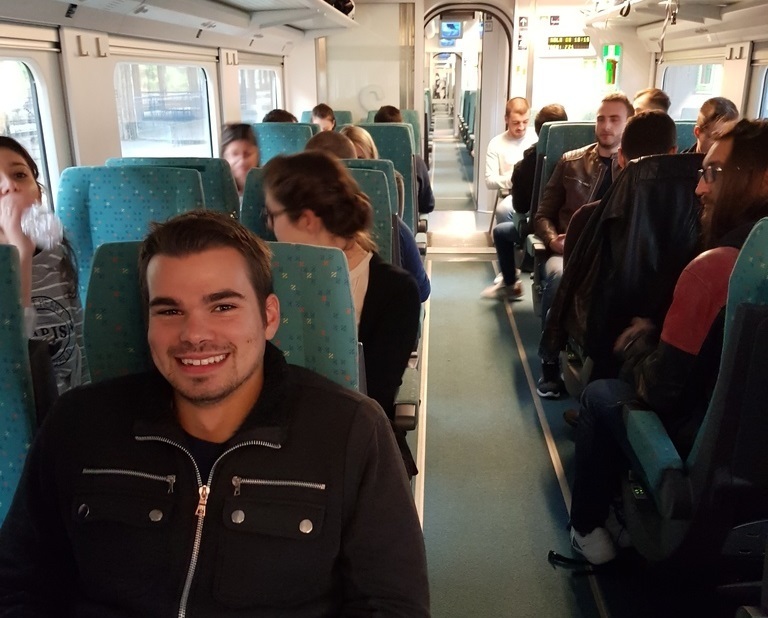 The first challenge for all of us on Friday in late afternoon was to get organized and make it to the fast train Talgo leaving at 16:26 from Sarajevo Railway station. Getting nine taxi vehicles on a rainy Friday afternoon, was quite a challenge believe us, but we had a little helper at our hand, the app our amazing team of interns developed during this summer’s internship, a taxi phonebook Weelz. We made it to the train, which, btw exceeded our expectations. It was cosy, spacious, and since we were all in one passenger car one could hang out with everyone, especially during a one hour break when the train was halted since there was no voltage in the system. We finally made it to Čapljina, with a lot of laughter, drinks, snacks and funny jokes, got on a bus, and finally reached our final destination, ethno-village HERCEG. The weather didn’t really look promising, and it was really windy, but the weather forecasts very very optimistic, so we were hoping to see some sun in the morning. And the sun really came out! 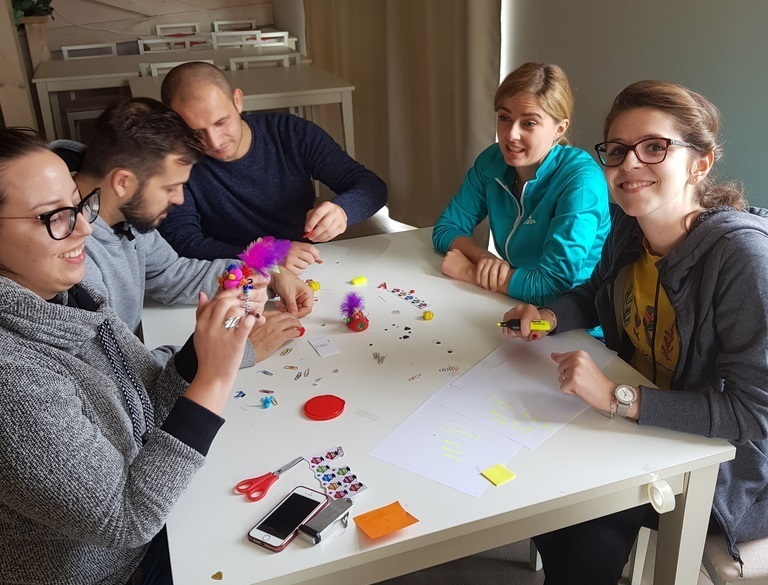 After breakfast we were ready to start with the first activity, a creative game during which each team was suppose to create a Klika mascot using all kinds of material, from paper, to pins, from feathers to stickers. We’ve split into teams of people that don’t usually work together, each group got their share of material, and the show began. After the mascots were finished, each team gave a short presentation of their mascot and told us a story behind it, and that was hilarious indeed. At the end, each team member voted for their favorite mascot and the winners were Team 1: Zaharije Pašalić, Adnesa Buhić, Alen Bumbulović, Jelena Vasić and Tibor Jevički. Congrats Team 1! But, the competitions didn't stop here! After a lunch break we were ready for a new adventure: a Treasure hunt game! We formed four new teams, and each team got a list of clues, team color, and a map of the village, since the letters they were suppose to collect were hidden all around the village. Everyone had so much fun, and we’ve been telling funny moments over and over again ever since. Each team was suppose to collect letter that formed the word CHECK-IN and the solution was suppose to take them to the CHECK-IN desk of the ethno-village. 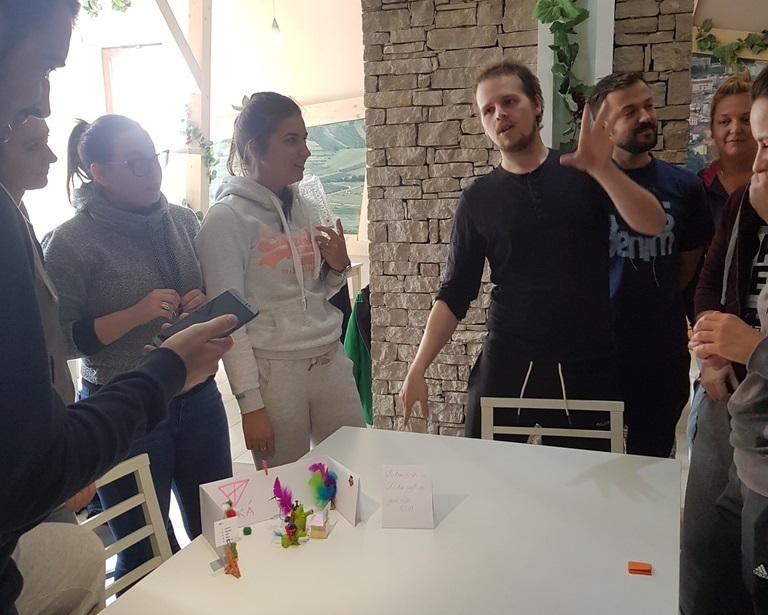 This time the winners were team Team Pink: Jelena Vasić(double winner), Azra Fetić, Samir Eljazović, Marina Miličević, Kerim Njihović, Ensar Sarajčić, Sanela Kalauzović and Ognjen Koprivica, and all four teams were awarded with a prize. Congrats everyone! 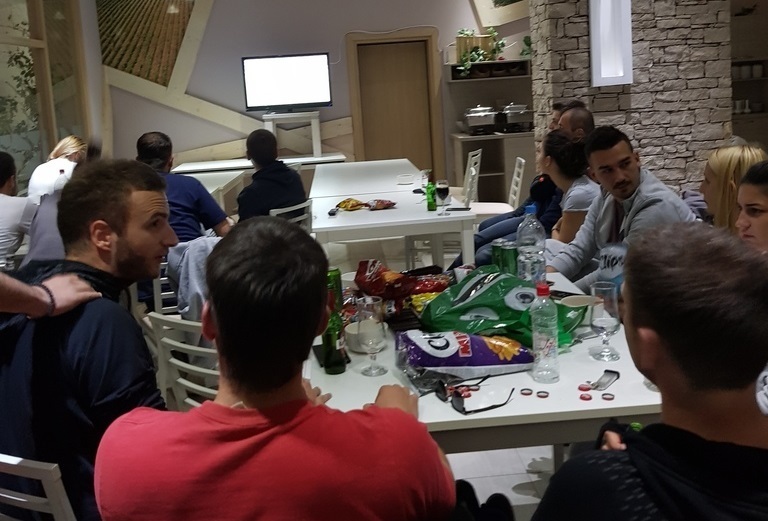 After the Treasure hunt game and drinks, we sat in front of the TV screen, prepared the snacks and drinks and supported our national football team in the very important game against Belgium. It was a nerve and heart breaking to see our team lose, but, life must go on. Being a party-loving crowd that we are, the evening ahead of us was reserved for some real partying! 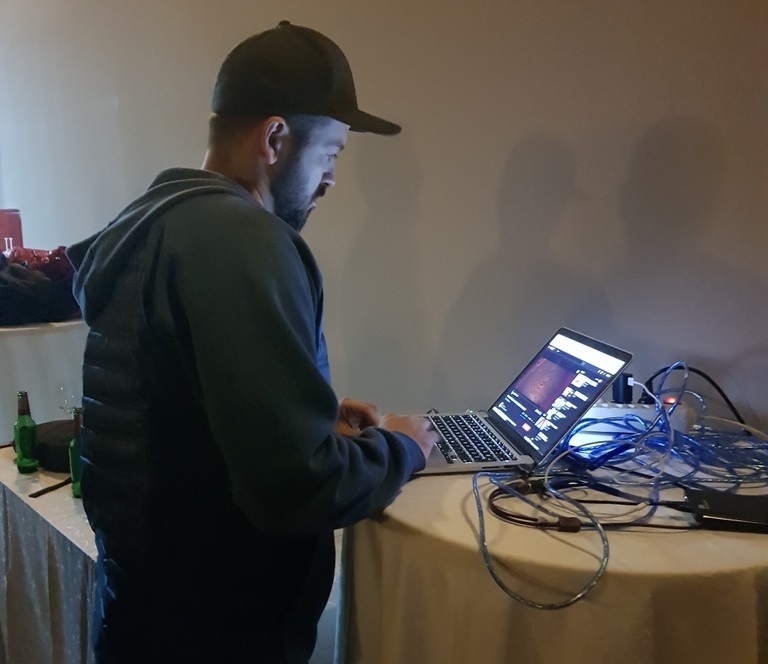 We are proud of the fact that we have three DJs in our team: Ivan Kovač, Damir Ramić and Marko Lučić, so you can imagine we were exposed to some good sound. On Sunday morning, not everyone was well rested, but everyone had a bunch of funny stories and impressions to share over breakfast. Right after breakfast it was time to hit the road and go back home. But, not so fast! We made a few stops along the way. 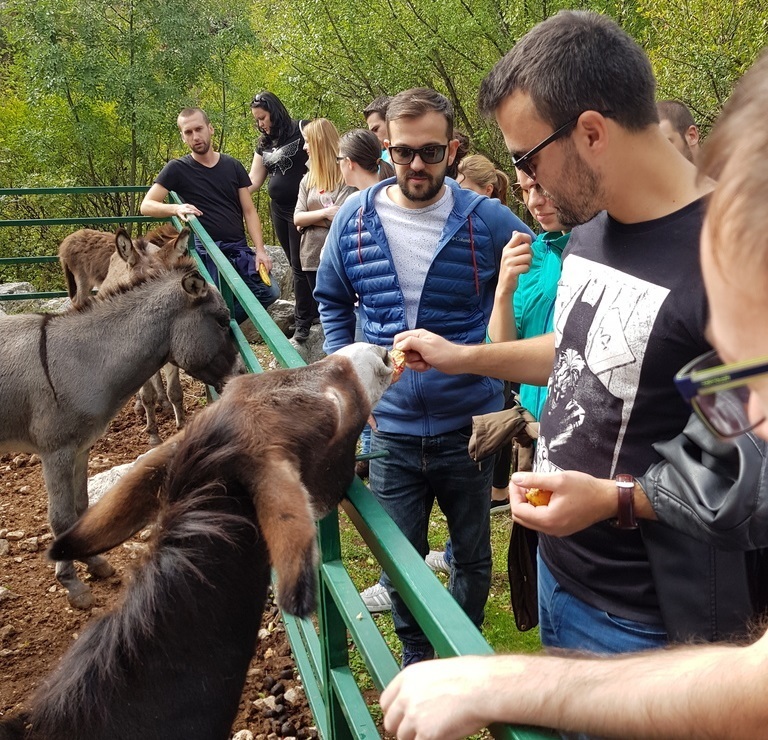 First, we visited Omladinski klub Eko Centar Blagaj "Novi val" because we wanted to see an endangered species Griffon Vulture and the donkeys that live in the Centre. That was a great experience and a great opportunity to enjoy the natural beauties of our country. 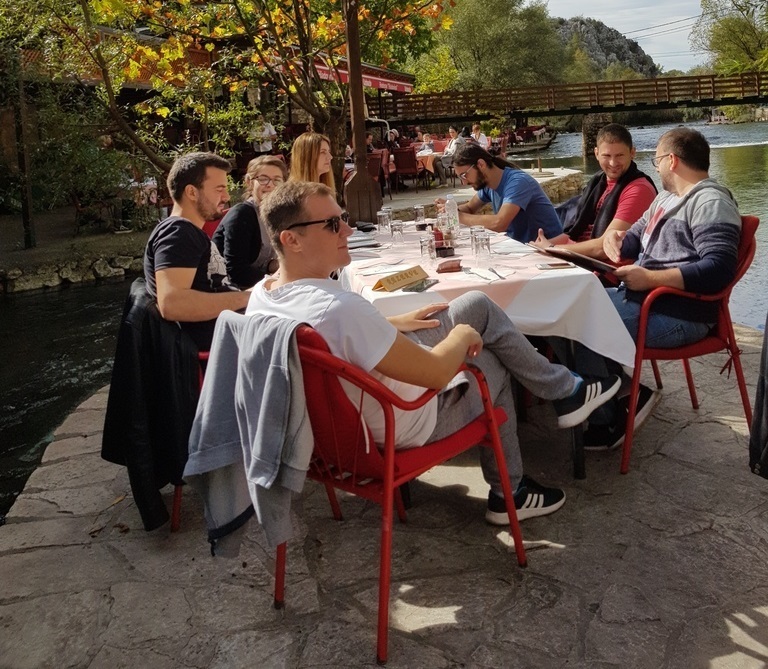 In Blagaj, a truly remarkable place to visit, we had a great lunch on the banks of river Buna. Before reaching Sarajevo in late afternoon, we made one more stop in Jablanica. It was a great and exciting journey, with a lot of memorable moments, and yes, we have crossed so many miles, and visited so many places, but it's the new friendships and stronger bonds which were created, that we find true value in! However, this is not the end, because Klika's journey continues and we are looking forward to new adventures and days spent together!